If you are looking for some Adults Only Vacations in Puerto Vallarta, then you are in luck. These adult resorts are for people aged sixteen years and older. So you will still have some teenagers there, but you won't have to deal with the younger children. I have not personally stayed at any of these resorts because I do have young children so please read my comments and then do some further research if needed before booking with them. This page is just designed to help you sort out which resorts and hotels do not allow younger children. This is a pure luxury adults only vacations resort and it may be a good choice for your honeymoon or a romantic getaway. 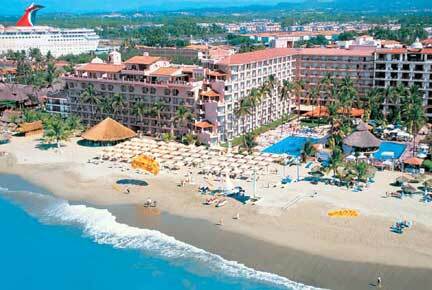 SECRETS RESORT IN PUERTO VALLARTA OFFERS FABULOUS ADULTS ONLY VACATIONS. TAKE A LOOK AT ALL OF THEIR ROOM OPTIONS! Just the rooms here sound dreamy! Never mind their restaurants, meeting rooms and bars. It might be worth taking a look at. This one is an adult Lifestyle Resort. So I hope you understand the "lifestyle part"... Yes, CLOTHING IS OPTIONAL at Fantasy Resort and Spa. If you like, anything is possible at this place. Indulge in your fantasy's with sensual activities in this all inclusive private resort. Need I say more. Casa Dona Susana is one more adult friendly place. Located in the romantic section of Puerto Vallarta, this hotel has a roof top pool with spectacular views of Banderas Bay. It has recently had 42 rooms remodeled with 19 of them featuring kitchenettes. Close to downtown and the Mal-econ. Food is available from 7:30 AM till 10:30 PM.